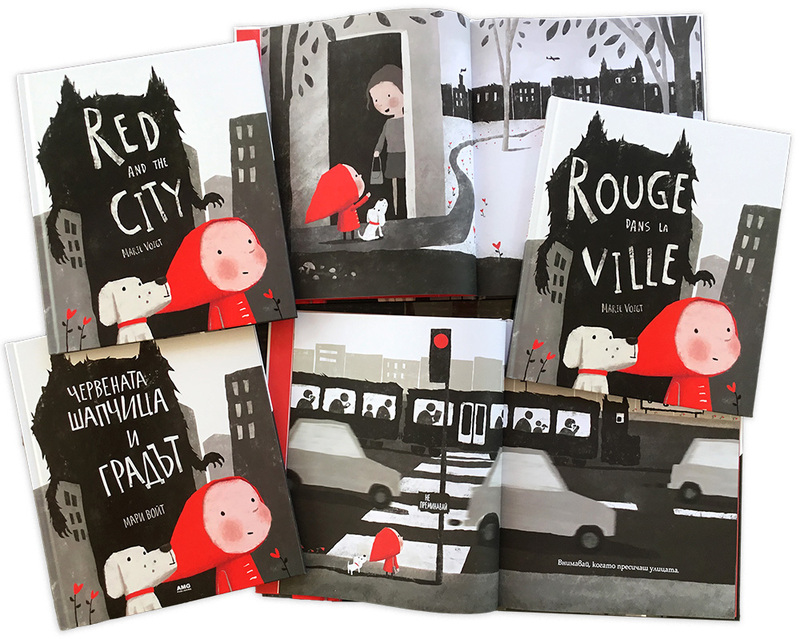 She debuts with the book “Red and the City” – a modern interpretation of the popular tale from the Grimm Brothers, which just a few days ago came out in Bulgarian with AMG Publishing and became the first children’s book in their portfolio. 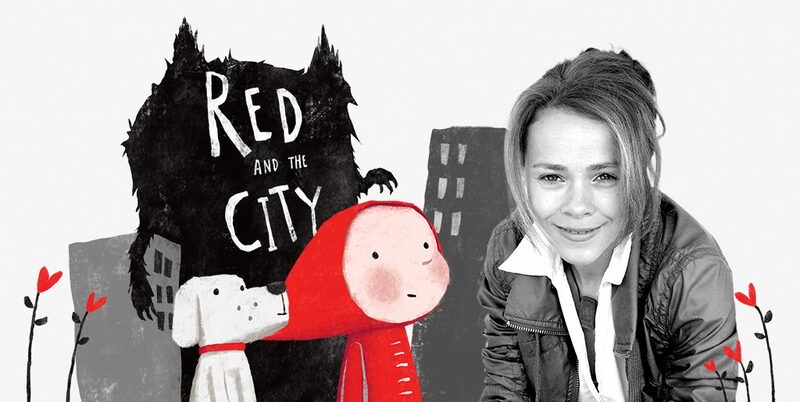 “Red and the City” is the first of several illustrated books Marie has to create under a contract she has signed with two leading publishers: Oxford University Press and Simon & Schuster UK. Marie has a Bachelor’s degree in Multimedia Technology and Design (Leipzig, Germany) and Marketing Management (Edinburgh, UK). 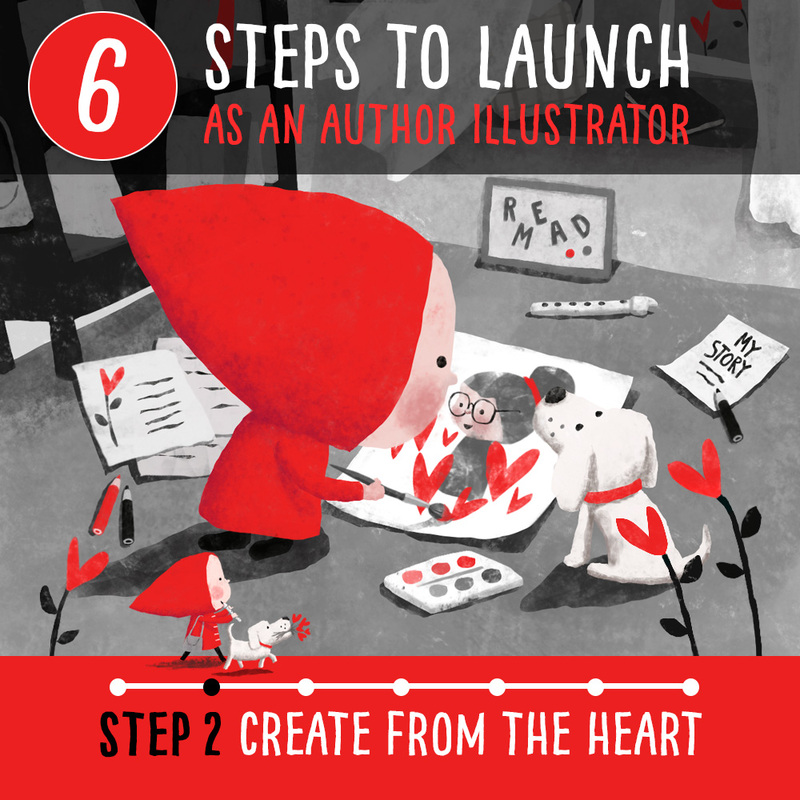 After studying she built a successful career in the field of television, branding and graphic design until she realised that illustrated books allow her to combine all her passions and skills in the most fulfilling way. Over the years, Marie has lived in Ireland, Scotland, England and New Zealand, and now lives on the coast halfway between Valencia and Alicante in Spain. Despite her heavy workload, Marie was able to take the time to tell us more about “Red and the City” and her next two books, which are about to come out in 2019. When and how did you get the inspiration for Red and the City? One morning in bed, whilst thinking about what I could paint that day, I suddenly had this image come to me of a tiny girl dressed in red offset against big buses, trains and lorries on a busy road. 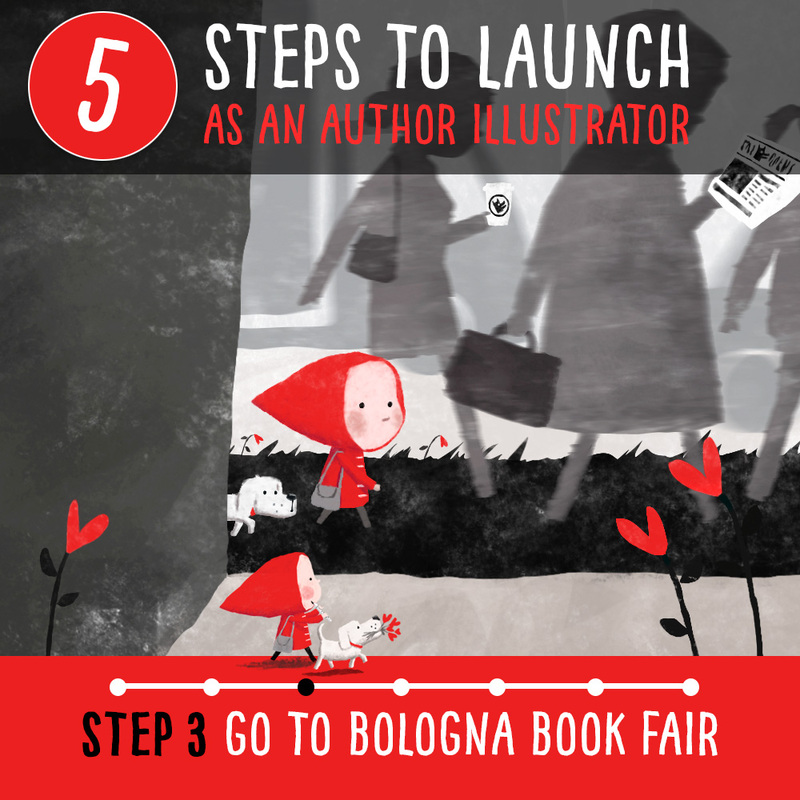 As I was doing a coloured sketch of this on my iPad, I thought, ‘Hey, this could be Little Red Riding Hood!’ And then, ‘Hey, this could be Little Red Riding Hood in the City! Hang on, this must have been done lots of times already.’ But a quick Google search later, I was surprised and relieved to see that it hadn’t. Then I googled Brother Grimm’s original German fairy tale text and started making it into my own. I was thinking, wouldn’t it be cool if the wolf was the city, and the city representative of the ‘system’ and the social conditioning and the challenges we grow up into. I think it only took me the rest of that day to sketch out the other spreads, because deep down, Red’s journey through the city is what I’d been going through in my own life up to that point. Which aspect of the creation process did you find the most exciting? And which part was the most challenging? One thing that was challenging was trying to make sure I get all my intended deeper meanings and messages across whilst still making the book accessible for younger children. Also some publishers had expressed concern over Red going into the city on her own, which is why we introduced her trusty dog companion Woody. Initially, I couldn’t see that working at all (after all Little Red Riding Hood goes through the wood on her own), whereas now I can’t imagine the book without Woody. Another challenge, which I wasn’t aware of, was that black and dark grey artwork is notoriously hard to reproduce well in print on uncoated paper whilst maintaining textures and details. So after I saw a digital proof of the book I had to go and lighten and re-setup each image and work closely with the production team to make sure my artwork was reproduced as intended. Also as I had put a lot of reversed-out text (white text on black backgrounds) into the artwork it took extra long to make all the final print files as this requires a special setup as picture books need to be printable in lots of different languages at the same time. 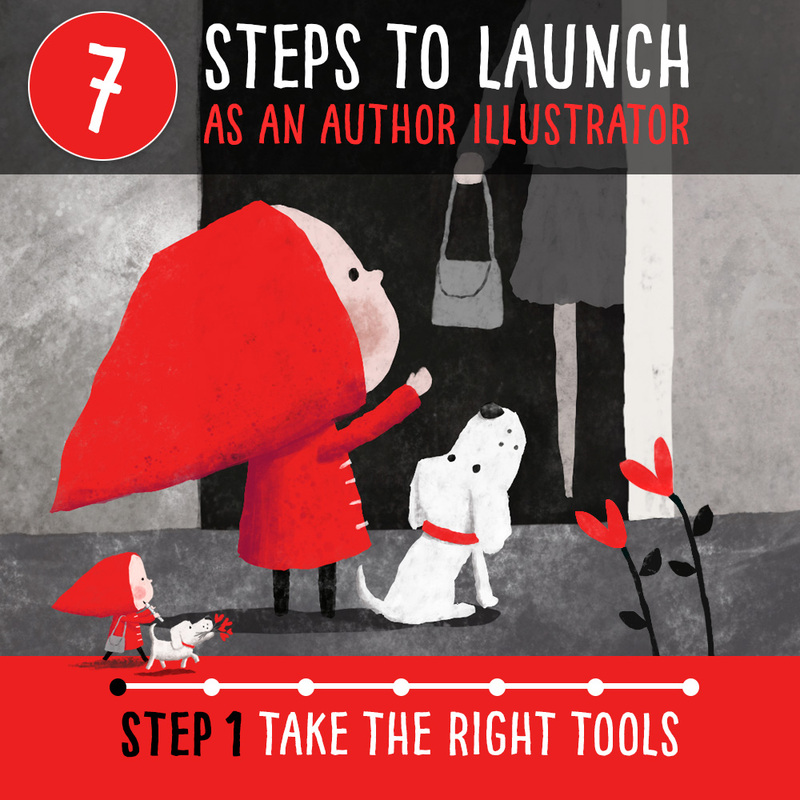 What message do you hope to get to your young readers and their parents through this book? Even though I grew up in communist East Germany with much less materialistic values, and as a child instinctively knew which path was for me, the wolf still led me astray. It took me many years before I finally started listening to and acting upon the voice inside again. I went on a journey of self-(re)discovery, worked hard to pursue what feels more aligned and became a bit more spiritual in the process. As a result, I really started seeing the system for what it is, as well as the true potential of humankind. I felt a little more enlightened, less fearful and more happy. I wrote Red and the City informed by my own journey to hopefully inspire and encourage readers of all ages to find and stick to their own path of love rather than that tempted onto by the wolf, so they can “live their legend”. So that together we can create a fairer and happier world in which we are all free to spread love and thrive alongside a looked after planet. 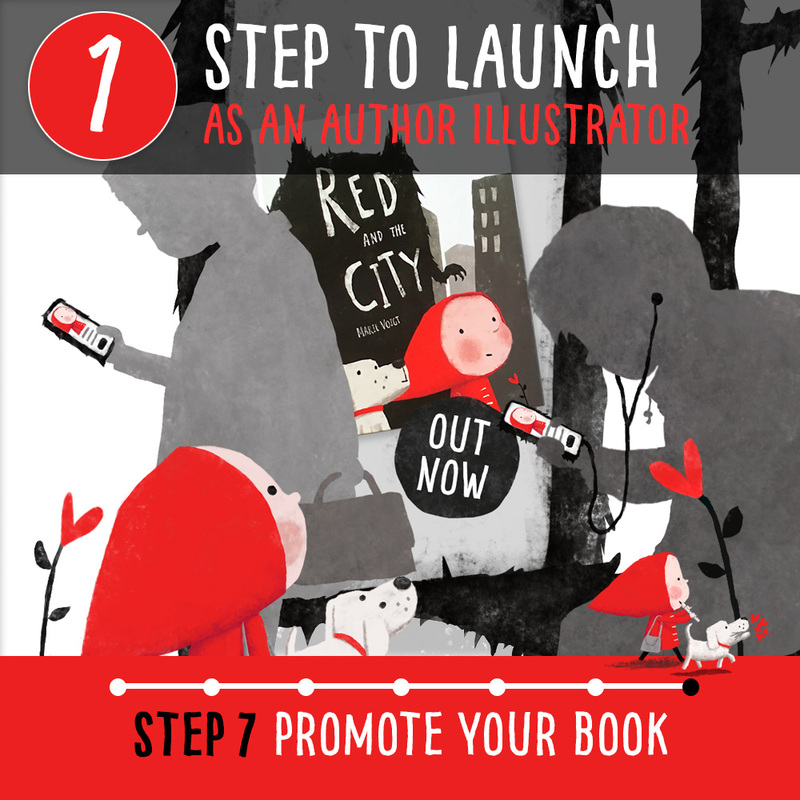 Red and the City, which is your debut book, is just about to be published simultaneously in the UK, France and Bulgaria, but you are already working on other projects? Could you tell us a bit more about these and what we could expect from you in the coming months? 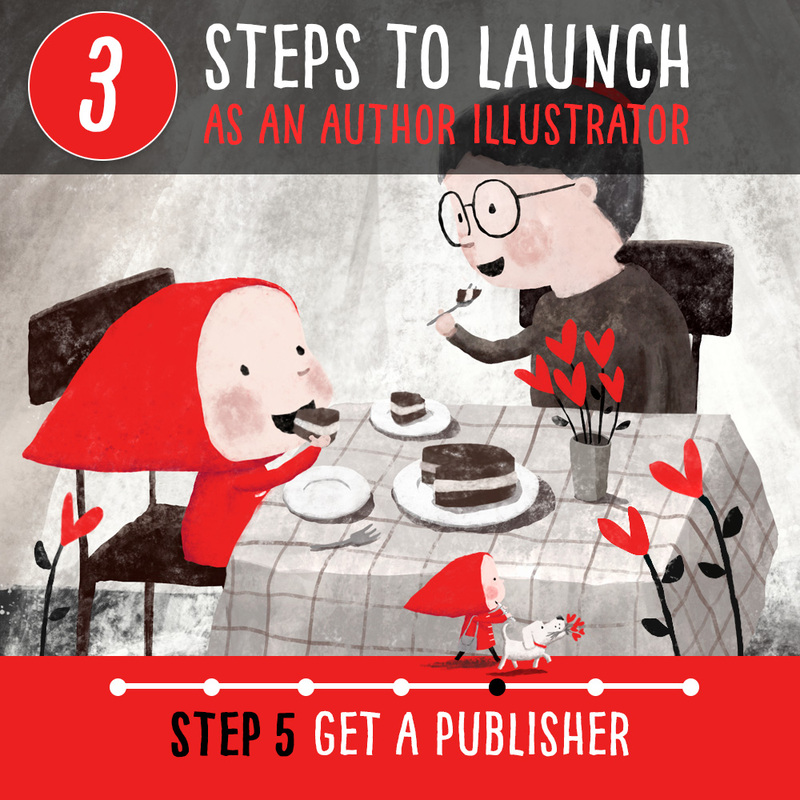 Upon finishing Red and the City I immediately started work on my second picture book together with my other publisher, Simon & Schuster UK. The Light in the Night, publishing in the UK next February, is about Betty who loves the night-time for it brings the most magical stories and Cosmo, the bear from one of her books, who’s afraid of the dark. When Cosmo comes to life, they discover that we need the dark to see the light, and that, together, they can find the light that shines inside and the courage to face their fears. Whilst we’re still finishing that book as we speak, I’m already working on my third book, Jazz Dog, once again with Oxford University Press and publishing in the UK in September next year. It’s a story about a little dog going against the stream in a divided world of cats and dogs, doing what feels right to him, even though everyone is laughing at him, and ultimately bringing cats and dogs together as a result. What books do you like reading yourself? Could you share with us some titles that have recently caught your eye and tell us how they impressed you? Because I work so much, I often find myself reading a good feel-good novel by authors such as Cecelia Ahern to help me wind down late at night. Recently I also really enjoyed Russell Brand’s Revolution whose messages are amazingly close to what I’m trying to convey in Red and the City. Using a great mix of facts and humour, he makes it very clear in which ways our system is dysfunctional and how we can, non-violently, fix it. I think everyone should read his book. And not long after I finished making Red and the City I read and utterly loved Paulo Coelho’s “The Alchemist”, about the courage to listen to your heart and follow your dreams and your own path whilst reading the omens strewn along the way, and thereby ‘living your legend’. Again, a bit like ‘Red and the City’ really! 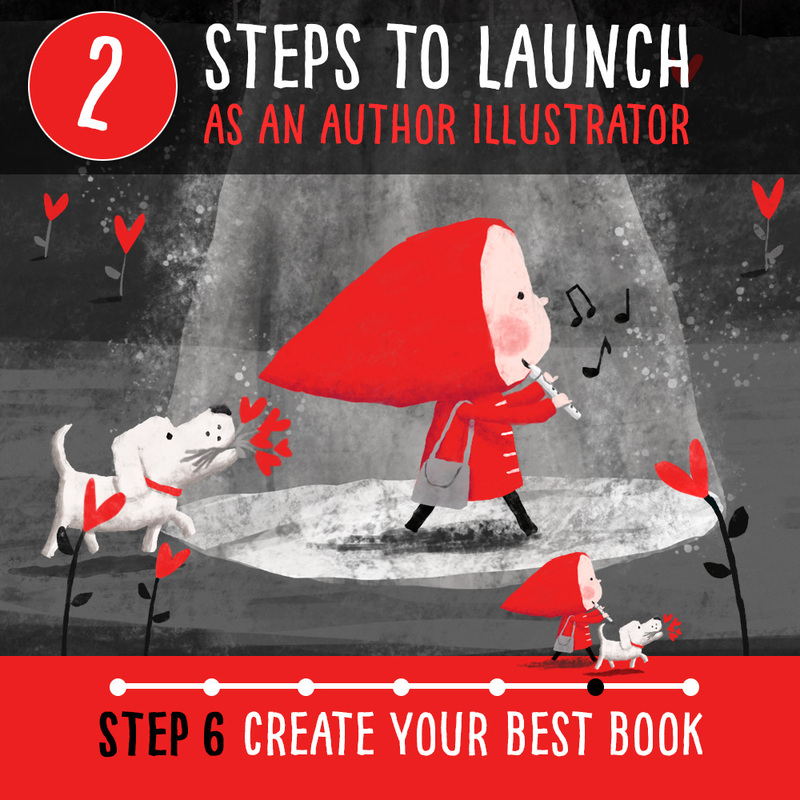 In terms of picture books, I remember being blown away by Oliver Jeffers’ How to Catch a Star despite being about 30 years old when I first read it! 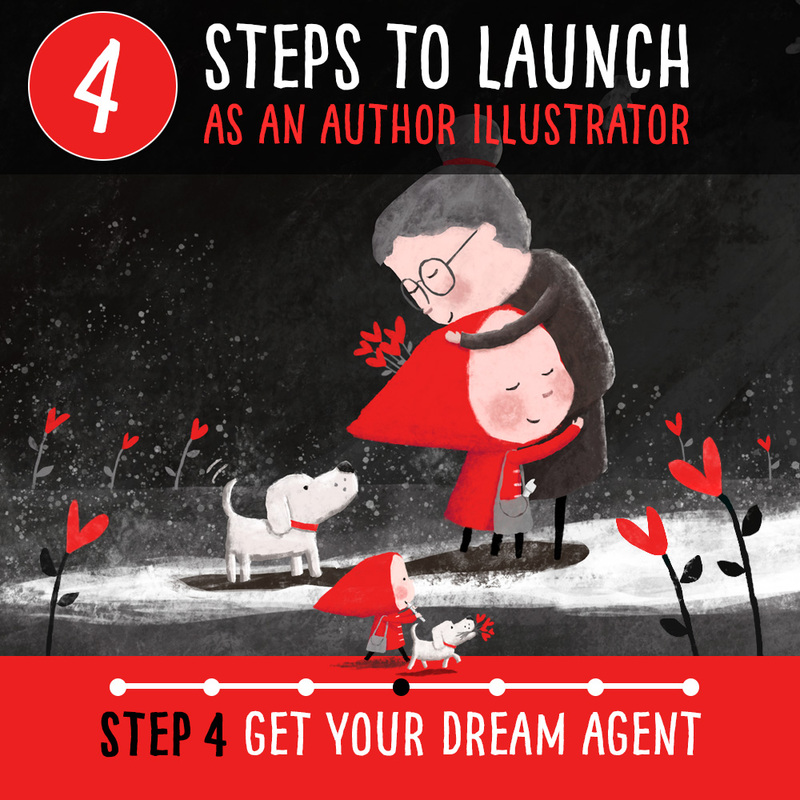 It sealed my desire for wanting to become and author illustrator, and I like the story’s message that going after your dreams will always be rewarded in one way or another. More recently, I read and loved the picture book The Dot by Peter H. Reynolds for its powerful message about encouraging others to believe in themselves – for when we believe in ourselves we thrive. What Do You Do With An Idea by Kobi Yamada is another favourite of mine as it encourages the creative spirit and the power of ideas. What would you like to tell Bulgarian kids and their parents? First of all, thank you for being interested in my book!!! Being from an ex-communist country myself I find this really exciting and would love to hear what you think about Red and the City! And I hope to be able to visit your beautiful country soon. Apart from that, I’d like to share some random things that help me live a fuller life and I think they apply to kids and adults alike: Look after yourself, eat healthy, and get into nature as much as you can. Appreciate the little things, smell the flowers and look at the stars. Climb a mountain. Try and swap the car for your feet or your bicycle and your smartphone/TV/playstation for a real-life conversation or a real-life adventure from time to time. Challenge yourself. Learn a musical instrument. Create something. Sing, play, laugh and dance. Be silly. Give lots of love and hugs. Read good books. Write your own. Never be afraid to question the norm and be a little different and “crazy”. Speak up. Tune into and follow your inner voice. Believe in your dreams and in yourself. You can literally do anything you set your mind to, no matter what anyone else says.